source / image description: cover image for Channel 4's My Week As A Muslim documentary. 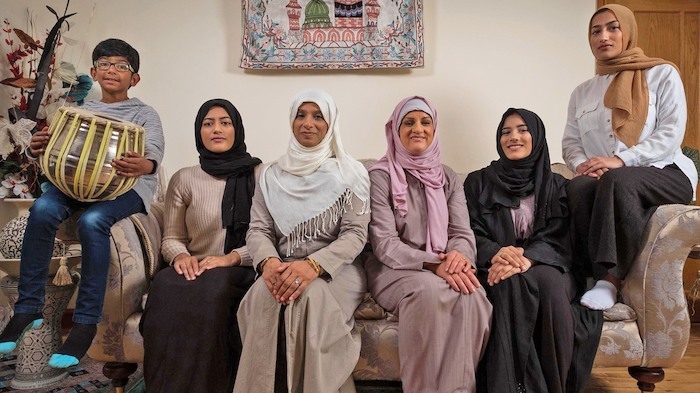 This October, Channel 4 released a documentary titled My Week As A Muslim, in which a white woman named Katie Freeman from a predominately white area visits a Muslim family in Manchester in order to learn more about the everyday experience of British Muslims; later on in the documentary, a team of makeup artists uses prosthetics to transform Freeman’s appearance so that she can live ‘as a Muslim’ for a few days. At first, the documentary looks and feels fairly harmless, almost humorous. Katie is 42 years old, formerly worked in the RAF, lives in Winsford, Cheshire and is terrified of Muslims. At the beginning of the documentary, Katie states that her dislike of immigrants is rooted in her belief that people are coming to Britain and stretching its resources – in perfect timing, the voiceover of the programme notes that Winsford is one of the whitest areas in Britain and that Katie rarely mixes with people outside of her own ethnicity. Katie even relates an anecdote in which her daughter was frightened by a burqa-wearing woman in a shop, prompting them to both leave the shop immediately. This attitude is what makes Katie’s visit to a Muslim family in the heart of Manchester’s Islamic community so shocking to her. 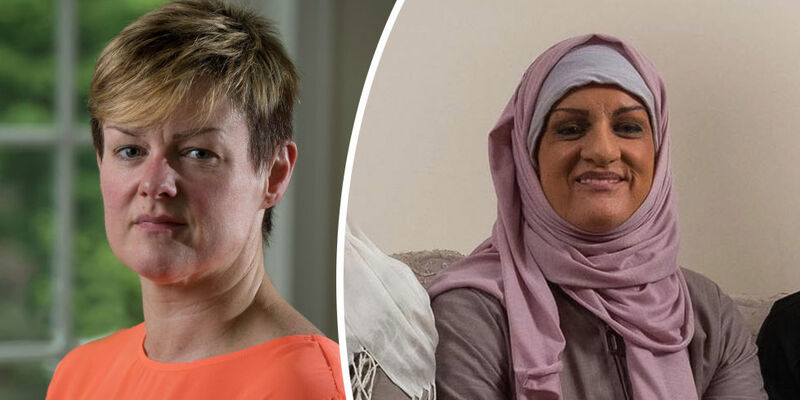 Saima, a 48-year-old mother of five who works as a teacher, is aware of views like Katie’s, but hopes to change these views of ‘ignorance and fear’ by inviting Katie to spend a week with her, her daughters and her son. At first, seeing Katie in Saima’s home is rather hilarious: a particular favourite moment of mine is when Katie remarks at the fact that she’s never eaten Asian food before, and Saima replies, ‘I thought curry was the most popular dish in this country!’ Various outburst of cultural ignorance like this combined with Katie’s shocked face as she watches the family pray almost make this programme feel like satire. 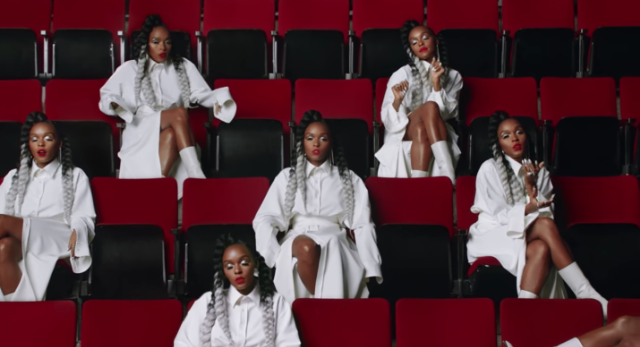 Although this revelation might have affected some of the documentary’s previously Islamophobic viewers, many of its viewers – Muslims and non-Muslims alike – were left wondering why Channel 4 felt that the right way to show that Islamophobia exists in Britain was to put a white woman in ‘brownface’ make-up, instead of following around or giving a hidden camera to an actual Muslim – after all, there are over 2.7 million Muslims in the UK. Khuram Ahmed, a Muslim lawyer based in Manchester, tweeted that ‘our oppression does not exist until a white person experiences it and legitimises it.’ Arguably, this programme implies that all South Asian and/or all Muslim women look a certain way, and sends out the damaging message that brownface, with all its historically racist connotations, is acceptable. If you haven’t watched My Week As A Muslim, you can do so on Channel 4’s online catchup service and decide for yourself.